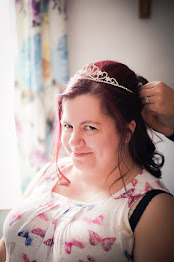 Back when I first started this blog (two years ago this May!) I wrote a post detailing a day in my life. Well, things have changed a lot since then, most notably the fact that I'm now employed! So I figured it was time for an updated "day in my life" post. I chose Monday 9th January 2017, firstly because it was the first day back in the office after the Christmas break, and secondly because I actually only work Monday, Wednesday and Friday. I really wanted to show you a typical day in my life when I'm at work, so here goes! My alarm goes off at 7am, but I usually hit snooze quite a few times and don't end up rolling out of bed until 8am! Luckily, it doesn't take me too long to get ready for work. The first order of business is to feed the cat. But then it's back upstairs to straighten my hair (which takes about ten minutes - thank god for low maintenance hair!) If I'm having a bad skin day, I'll pop on some BB cream. I'm very late to the game with makeup sponges, can you believe I'd never used one before last month?! I love not getting my hands covered in foundation/cream, though! If I've remembered the night before, I'll have my outfit for the day folded up by my side of the bed. If I haven't remembered, I'll quickly rummage through the wardrobe and chuck some clothes on. I don't eat breakfast, although I'm well aware I should, so the last twenty, ish, minutes of the morning (before I have to leave for work) are spent doing a few quick chores; washing on, dishwasher loaded, clothes put away. Then I jump in my car and drive the two miles to work! My official job title is Marketing Assistant. But what I really do is a mixture of online sales and marketing. I manage the company's Twitter and Facebook accounts; scheduling tweets, and sharing relevant posts. The rest of my time is spent sending out sales emails, on LinkedIn and Hubspot. I usually take a mid-morning break around 11am. 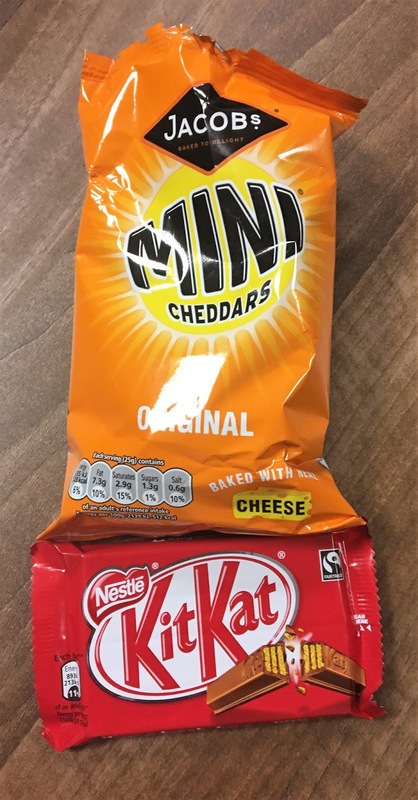 If I'm having a hungry Monday, I might grab a packet of crisps or a bar of chocolate out of the charity box in our office. Which I did this Monday, as you can see! Lunchtime rolls around at 12pm, but I don't take a lunch break. I never have, in any of my jobs. I prefer to just get on with the day. But I'll allow myself 15 minutes to eat my lunch (usually homemade and, mostly, healthy!) The rest of the day passes by in a blur of emails, leads and tweets. At 5pm, I'm jumping back in my car, heading home and praying that I miss the traffic! If I do, it only takes me 10 minutes to get from door to door! Did I mention my partner and I work together? He cycles in, as he likes to start half an hour early, and he leaves a little later than me, so I'm usually home first. I'll chuck a microwave meal in or, if we're feeling particularly lazy, nip to the chip shop. I'll let you guess which we did today! (Clue: we were feeling very lazy, first day back at work and all that!) After food, I grab a quick shower and change into my jim jams! 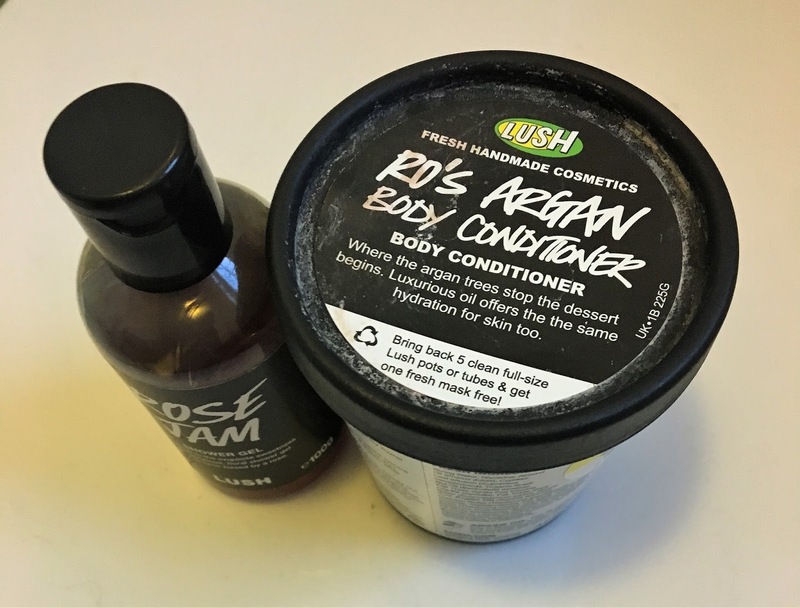 As you can see, I'm currently using up my Rose Jam shower gel, and Ro's Argan Body Conditioner. I love coming out of the shower, smelling like roses! 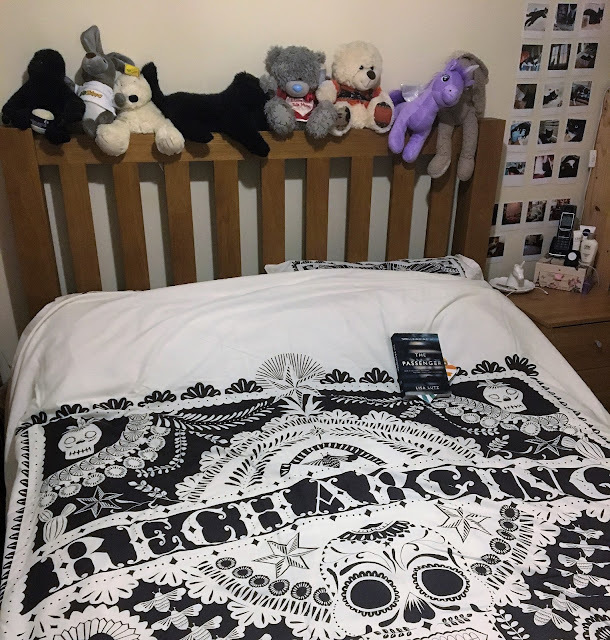 I have quite a strict cleaning rota, and Monday's all about fresh bedding! So after my shower, I strip off the sheets and put on some new ones. 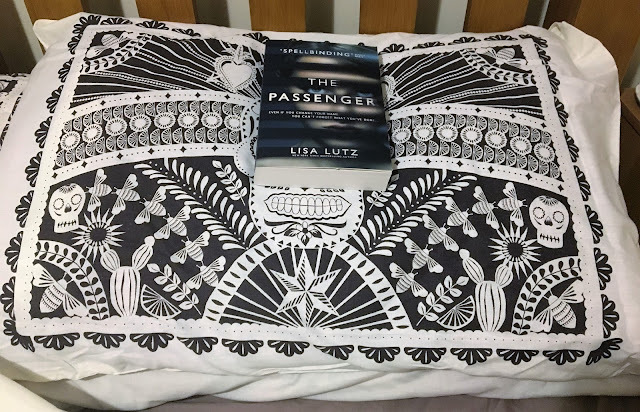 This Monday, I had a brand new bedding set to put on; which was very exciting (it's the little things in life, guys!) I picked up this king size bedding set from Asda for just £8, reduced from £19! I love it, what do you think? I finish off the chores I didn't have time for in the morning; putting away clean laundry, washing up and putting on a load of washing. Then, finally, it's time for a cup of tea. My first of the day, in this case! The rest of the evening is spent watching television, blogging and/or playing The Sims. I usually play The Sims 3 because it's better, but sometimes I'll dip back into The Sims 4! 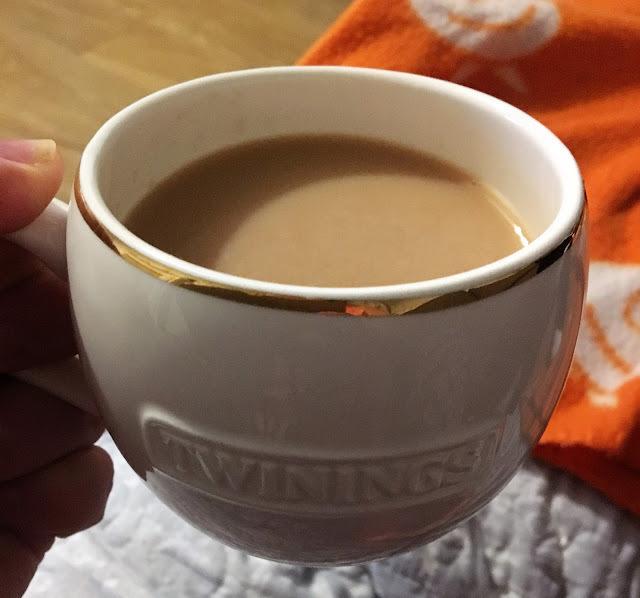 I usually have a couple of cups of tea, and sometimes even a piece of cake or a few biscuits. And at about 11pm, I'll make my way up to bed. I like to read before bed, if I can. But having recently upped my migraine medication (which I take at bedtime) I've found myself too sleepy to keep my eyes open by the time I reach my bed. So it's a quick social media scroll (wouldn't be bedtime without a social media scroll, would it?!) and then I'm out like a light! There was a time, not that long ago, when I couldn't get to sleep much before 2/3am. So falling asleep as soon as my head hits the pillow is a welcome relief, to be honest! And that's it. Another day in January done and dusted! What is the first you do when you get into the office? 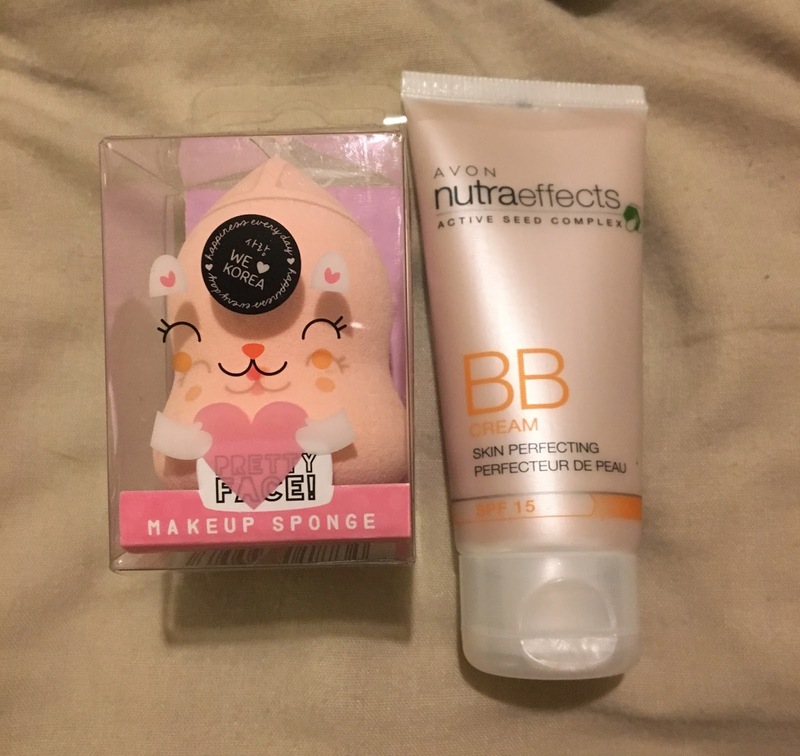 That make up sponge is pretty much the cutest thing! I need to get one when I finally get my new flat. I know, right? So adorable! I love reading DITL posts. So excited that Ribena have a winter spice flavour - how did I not know about this? I love Ribena! I was surprised to read that your blog is turning 2 in May - my blog is 2 this March and I thought yours was about a year older than mine! Oh wow - what are the chances?! Haha. 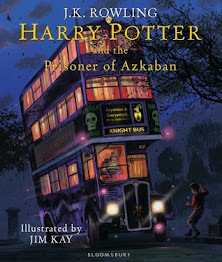 You must look for it in stores, it's limited edition so it won't be around for long. But it is so good!